Sgurr a' Bhealaich Dheirg has steep grass slopes to the S and E, and steep craggy slopes to the N and W. Its narrow rocky summit ridge runs from Sreath a Ghlas-choire in the NE to a col linking to Saileag (WNW). From the summit a short ridge leads ESE to a col at the head of Coire nan Eun which links to Aonach Meadhoin. A further long ridge, Sreath an Fhraoch-choire, rises W of the summit and runs N to the crags of Creag Ghlas. 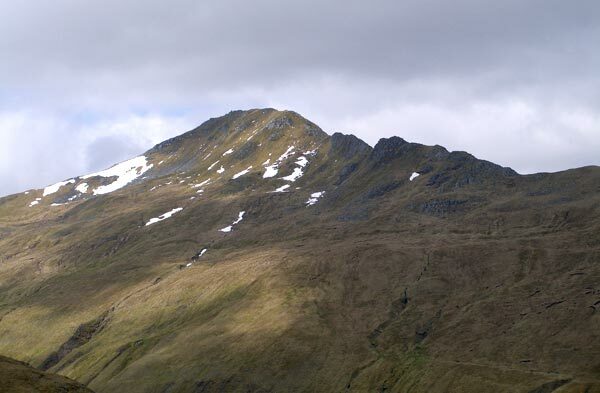 Sgurr a' Bhealaich Dheirg is normally accessed from its neighbours, Aonach Meadhoin and Saileag, but can also be ascended direct via Meall a' Charra to the SE. On the spur leading to Sgurr a Bhealaich Dheirg summit, looking back to the main ridge. A warm, relaxing May walk! Sgurr a Bhealaich Dheirg showing the NE ridge in profile. 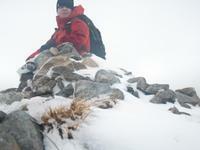 Ciste Dubh from Aonach Meadhoin. 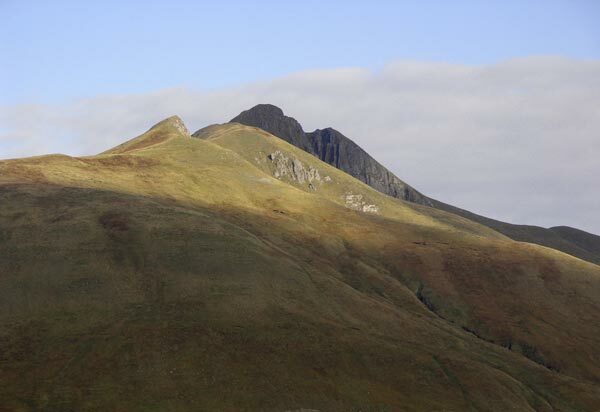 The summary information of one or more ascent routes that include Sgurr a' Bhealaich Dheirg. 1 1212 m 13.98 km 5 hrs Sgurr a' Bhealaich Dheirg, Aonach Meadhoin and Saileag Moderate route with exposed rocky tops and ridges on the north side of Glen Shiel. 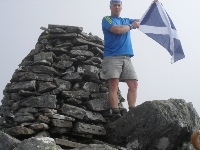 Post a few words about Sgurr a' Bhealaich Dheirg or read what others have had to say.